They have been putting together a series of blogposts outlining some of the new features we will see when Version 4.0 is released. Here is an outline and a summary for you all! But if you want to know more, please follow the links and read all about it! Proloquo2Go 4.0: It’s all about Communication. This blog post gives us an insight into how Assistware planned the update; what goals they had in mind and what new features could be included in the update to help overcome any barriers to using Proloquo2Go. 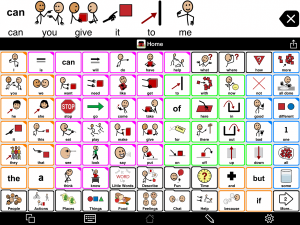 Proloquo2Go already provides grammar support for verbs (verb tenses) and nouns (plurals and possessives), however this has been improved and enhanced in Version 4. There will be more verb tense options, as well as grammar support added for adjectives and pronouns. Also students can now have a chance to hear or preview the word before they select it for their message. This blog post gives a more detailed outline of how the grammar support will work for verbs. In version 4, the grammar support for verbs will include more verb tenses as well negative forms of verbs (eg. is NOT running). The other great feature of this, is that it is all customisable, so you can turn on and off different tenses and add the additional tenses gradually depending on the student. We already love the Core Word vocabulary in Proloquo2Go, but in version 4, it just gets better. I love these new landscape-optimised layouts for the core word vocabulary, – more vocabulary for those students using their Proloquo2go in landscape view, and with the square buttons it means that the image and text are easier to see. This is, by far, one of the most exciting developments in Proloquo2Go 4! The new design of the core word vocabularies allows for the consistent location of symbols across different pages. When symbols are kept in a consistent location, it gives a student the best chance of learning and then using their words faster and more efficiently. New grid size combinations, especially if you use Proloquo2Go in landscaper mode! And an easier way to add and remove rows and columns! Proloquo2Go has some great Alternative Access options, and again they are improved in Version 4. The biggest change is the addition of Auditory Scanning. There are even more features in Version 4, so you need to keep checking the Assistware blog page for updates. I can’t wait for this Version 4.0 update! I wish to purchase the Proloquo2go for use in an aged care facility for residents who have speech impairment. can you please provide me with a price. Thanks for contacting us. The current price for Proloquo2Go for iPad is $399.99. 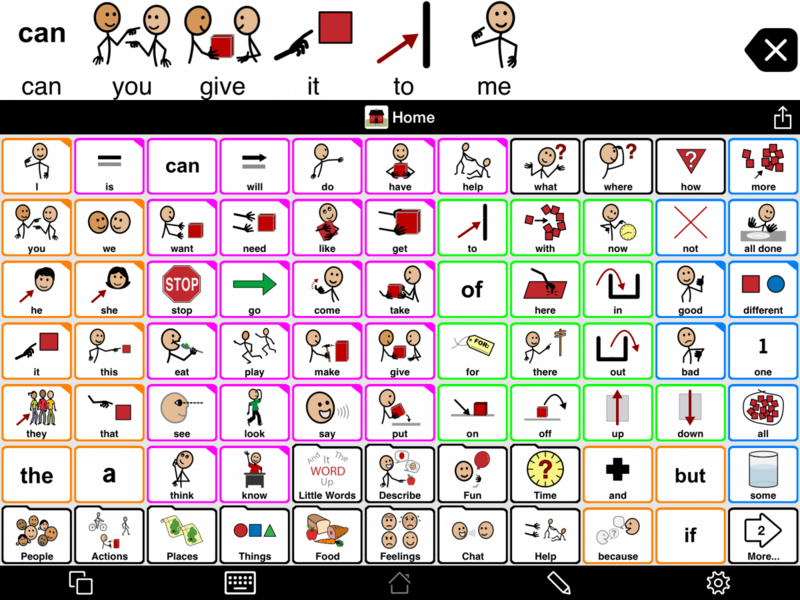 You can buy this app from the iTunes store at Proloquo2Go – Symbol-based AAC – AssistiveWare.